When purchasing a house it is common practice to conduct or rely on a home inspection. Its purpose is to examine the entire structure, systems and mechanicals. An informed buyer can then base their decision on whether or not to offer to purchase a property, and how much to offer, on the contents of the inspection. With a condo there is less to “inspect” since major systems are common property. Most condo purchasers opt not to require a home inspection. For a condo, some consider the Status Certificate as equivalent to a home inspection. This document includes information of importance to prospective purchasers. The Status Certificate is a comprehensive document containing the condominium corporation’s declaration, by-laws, rules, reserve fund study, certificate of insurance, audited financial statements, operating budget and other information. Within this document, which can be hundreds of pages, some information is of greater interest to most condo buyers. Rules should be reviewed to ensure personal lifestyles can be accommodated. Some buildings have pet restrictions or prohibitions. Others may have parking limitations or restrictions that are problematic to some people. Know the monthly maintenance fee and what it includes. Scheduled condo fee increases should be noted. Large increases may signify financial problems or major infrastructure work that is required. These are infrequent. Special assessments may be necessary when condo fees are inadequate to pay for required work. The reserve fund is money contributed by owners for maintaining of the existing infrastructure. While there are no hard rules about how much should be in this fund, buildings 10+ years old should be maintaining a reserve fund at least comparable to annual revenues. 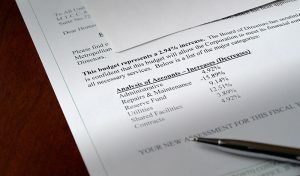 Lesser amounts may suggest a reserve fund that is not fully funded. Reserve funds that are not fully funded will likely require condo fee increases or special assessments in the near future. Some prefer a building where a majority of suites are owner-occupied. Others may prefer a building with a higher proportion of rental properties and which may be more welcoming of them. A review of the declaration, by-laws and rules can help determine the acceptability of rental properties by the community and condominium corporation. Known building issues or lawsuits should be identified. 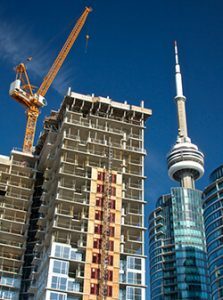 New buildings with claims for payment under the Ontario New Home Warranty Plan may signify a building with problems yet to be rectified.